Which Crawler to Buy, 2015 Edition! Ok, i’ve done a couple of overviews of what is available on the market in regards to vehicles in particular categories or classes, but today I thought Crawlers ought to be the topic of discussion. Now i’m far from an expert myself as I’ve rarely driven a crawler, never owned one and am hoping to be in the market for one myself soon. However I saw a great video doing a run through of 11 Trail Trucks (as opposed to outright Rock crawlers with no scale resembelence to real vehicles) by DJ Medic at the RC Sparks Studio and thought that it was as close to a what to buy article as anything I can whip up from behind the keyboard, supported by the fact these are all his cars that he has drive, and can comment with authority on each vehicle. It’s a 17 minute long video, but worth a watch if you are interested in getting into crawlers. 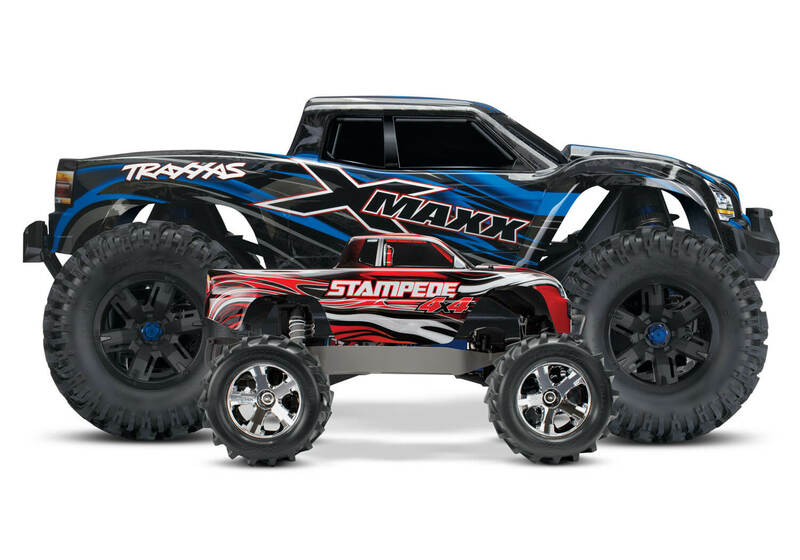 Ok, the Traxxas X-Maxx is the new player on the block, and I thought it was a direct replacement for the somewhat senior citizen the E-Maxx, that was until I looked at the dimensions and realised that the X-Maxx was truly gargantuan in it’s size! I mean it dwarfs the stampede in the press photos (don’t mistake it for a E-Maxx, that’s a different photo, also included below). So what of the features that it is touting? Traxxas Stability Management, you wouldn’t want to loose control and run into your mates, or a nearby stranger, a broken leg at speed would be a very real possibility! Body Pin free body mounting system, a big tick, but the large physical size makes this easier to implement, but harder to fit different bodies. No gear mesh manual adjustment, just choose the right slot and go. Mmm, great idea for noobs, but i’m not sold on the concept on the whole, so that;s a split decision for me. Modular Chassis for strength (and easy maintenance) gets a big tick from me, and I can see this spawning some other models easily too. 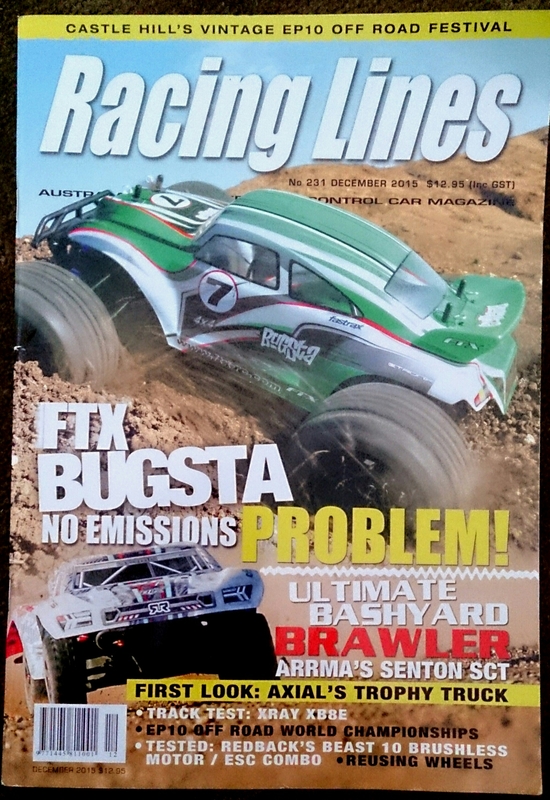 2wd Baja buggy for example to counter the HPI Baja 5B perhaps? Clean sheet design, about time! the last one from Traxxas in off road was the Slash if I recall.